In keeping with the second leg of the ForestTECH 2018 series that ran this week for Australian, SE Asian and South American resource managers and inventory foresters, we’ve added a couple of forestry technology stories. The first is a video clip and link through to a new mechanical pruning system. It’s been trialed in German forests and is expected to be commercialised and sold from next year. The second is a story on a “Precision Measurement of Trees and Forests” project. It’s been going now for four years. The team drawn from ANU and CSIRO are comparing and contrasting different ways of collecting data, using different terrestrial and airborne laser scanners, and working with digital imagery. Details on both projects can be found below. In wood harvesting this week we’ve included a story on further collaboration that’s going on in research around harvesting wood off steeper terrain. A couple of weeks ago we highlighted the recent renewal of a MOU between FPInnovations, Canada and Forest Growers Research, New Zealand. A number of research projects in the pipe-line include steep slope machine stability, road and landing construction, soil disturbance and the further development of research into line tension and cable integrity, remote control, and the teleoperation of forest machinery. FPInnovations’ steep slope initiative scientists and researchers at an Italian university have also just completed some in-field studies aimed at improving the understanding of tensile forces reached during winch- assist operations of large-scale forwarders in British Columbia. You can check out the story below. Profiling new harvesting technologies and innovative operating practices also continues with two major wood harvesting events being planned for next year. 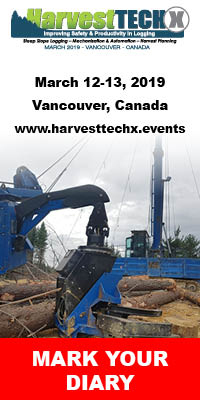 The first, HarvestTECHX is being organised by Innovatek and Logging & Sawmilling Journal runs in Vancouver, BC, Canada on 13-14 March 2019. Registrations are now open. Formerly called the Steep Slope Logging Conference, the event sold out in 2016 in Vancouver. 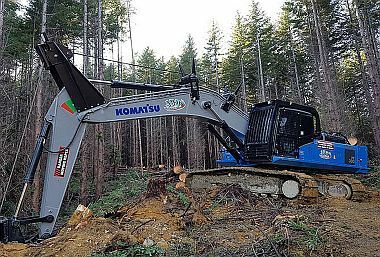 Our latest event will focus on machine-based forestry and logging operations suited to west coast operations in North America. The conference theme for 2019 is “Smarter Logging Automation & Technologies”. The second, is the major two-yearly harvesting event, HarvestTECH 2019. It’s being run in Rotorua, New Zealand on 26-27 June 2019. This event, which last ran in 2017, sold out. With over 450 logging contractors, forest managers, harvest planners and equipment suppliers involved, it was the largest gathering of its type seen in the country. 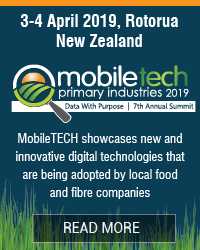 Already, international expertise from most major equipment suppliers along with key harvesting contractors have signed on to present on new technologies, new tools and some pretty clever operating practices being employed by leading harvesting operations. Mark both dates into your diaries. Further details along with the programmes will follow shortly. And finally, if you’ve been part of the just completed ForestTECH 2018 series over the last couple of weeks, details on how to download presentations given at the Melbourne event this week and the Rotorua event, will be sent out to you in the next few days. That's it for this week. Enjoy this week's read. 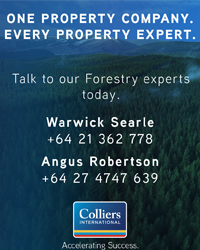 A report released by the Australian Bureau of Agricultural and Resource Economics and Sciences (ABARES) this week has highlighted continued growth in Australia’s forestry sector thanks to favourable conditions in key markets, particularly housing and international trade. ABARES Executive Director, Dr Steve Hatfield-Dodds, said Australian forest and wood products statistics: March and June quarters 2018, reported the fourth consecutive year of growth for the value added by the forestry and forest product manufacturing industries, to AU$8.8 billion. “Domestic demand for wood products remains at high levels. Following four years of consecutive growth, the estimated volume of logs harvested stabilised in 2017−18 at 32.9 million cubic metres. Exports of Australia’s wood products were higher than ever in 2017–18, increasing for the fifth consecutive year to reach a record AU$3.6 billion, on the back of record high exports of woodchips, paper and paperboard, and roundwood. “Overseas demand for woodchips, sourced mainly from Australia’s commercial hardwood plantations, remains strong with woodchips exports reaching AU$1.3 billion. The report finds the Chinese market accounted for the majority of total wood product export growth in 2017−18. In fact, 47 per cent of Australia’s wood product exports went to China, a market now worth $1.7 billion. For a copy of the report visit www.agriculture.gov.au/abares/publications. A current Scion research project aims to modify radiata pine lignin to make it more like that of hardwood lignin to improve processing efficiency. The research contributes to our ambitions to grow New Zealand’s bioeconomy, and one way is to make bioproduct processing easier and more efficient than the existing alternatives. Using trees for pulp, paper and biorefining is a key example. To make use of wood fibres, they need to be separated from the lignin that glues them together. The softwood trees that grow so well in our planted forests contain a type of condensed lignin that is much more difficult to separate than the syringyl (S)-rich lignin found in hardwood trees. Lignin is a complex polymer that provides strength and structure in trees. In softwoods like radiata pine, the lignin contains mostly guaiacyl (G) units. Lignin made up of G units is more condensed and difficult to process. This, together with their high lignin content, makes softwoods more difficult and energy demanding when producing high yields of refined biomass for pulping and biorefinery use. By contrast, hardwoods, which contain syringyl (S) units, are easier, cheaper and cleaner to process while retaining their desirable wood fibre qualities. 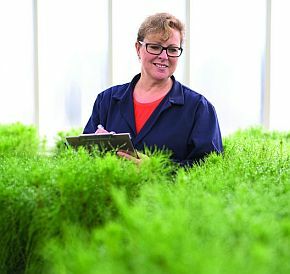 Scion has produced a small crop of young radiata trees modified to contain S-lignin, based on an initial proof of concept that showed softwood cells could produce the novel lignin. These trees formed a field trial that allowed the S-lignin radiata to grow in a forestry setting where Scion’s team could collect data and carefully monitor the trees’ growth and performance. Well over 250 resource managers, remote sensing specialists and inventory foresters from throughout Australasia, SE Asia and South America have participated in the annual ForestTECH 2018 series over the last two weeks. “What’s really gratifying is the continued turnout by leading forestry companies from throughout the region and the significant value that these return delegates are getting through the adoption of the technologies being discussed, showcased and demonstrated into their business”, says Brent Apthorp, FIEA Director. As part of this recent series, Pan Pac Forest Products for example were able to outline how they'd picked up on the opportunity of using daily satellite imagery to collect and report on their clear-fell harvest areas. Like most forestry companies involved in harvesting, the data being collected is essential information for area reporting, yield reconciliation, harvest scheduling and financial forecasting and reporting. Until last year, it was being done largely on the ground with a bit of UAV and aerial photography to assist. The company wanted a better system. They wanted a system where no ground measurements were required, harvest coordinator involvement was largely on quality control, the reliability of data collection could be improved and information flows for the end of month and YE reporting could be streamlined. Sheldon Ellis, Manager Forest Optimisation with the company and David Herries, GM of Interpine outlined the results of an 8-month trial that they’ve just completed using the Planet Lab platform. The process, results, learning's for other forestry companies and future direction for the company in using satellite imagery was shared with all those attending. Similar case studies from companies like Indufor Asia Pacific, Hancock Forest Management, OneFortyOne Plantations, FCNSW, Swift Geospatial … were also shared. All were very open and able to outline progress on the adoption and implementation of technologies showcased in previous years as part of the annual ForestTECH series. “As evidenced by the discussions, presentations and networking over the last couple of weeks, the ForestTECH platform along with the more regular monthly communications set up through www.foresttech.news continue to provide invaluable financial and operational tools for forestry companies from across the region” says Mr Apthorp. "The benefits and payback to delegates and the tech providers have been significant." Details of the just completed ForestTECH 2018 series will follow in future issues. Information on downloading presentations given as part of the New Zealand and just completed Australian events will be sent out to all delegates next week. A number of new and emerging data collection technologies have been on display over the last two weeks. One video shown as part of one presentation (put out by FP Innovations a few months back) that you might find interesting or could use as a future resource, we’ve included below. Placed first in Australia and 20th in the world in the 2016 QS University Rankings, Australian National University (ANU) is a research institution with its main campus in Canberra, the country’s capital. Research currently underway in a joint effort between ANU and Australia’s Commonwealth Scientific and Industrial Research Organisation (CSIRO) is tracking tree growth and development over time using GeoSLAM’s “go-anywhere” 3D mobile mapping technology. Known as the ‘Precision Measurement of Trees and Forests’project and being conducted in the field by a team which includes Tom Jovanovic, former CSIRO researcher and now Visiting Fellow at ANU’s Fenner School of Environment and Society, the project is currently in its fourth year. The team is charged with comparing and contrasting different ways of collecting data, using different terrestrial and airborne laser scanners, and working with digital imagery. 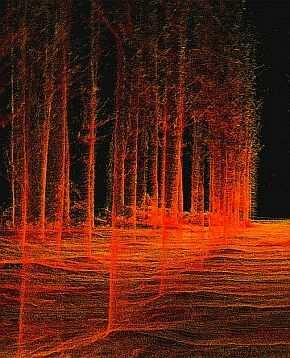 The team has been using UK-based GeoSLAM’s handheld laser scanner since the beginning of the project, which is being conducted in a survey area within the National Arboretum, Canberra (NAC). Featuring some 44,000 rare, endangered, and symbolic trees from around Australia and more than 100 other countries, the arboretum is made up of 94 mini-forests spread over a 250-hectare area within sight of Canberra’s centre. Most of the trees are young but some date back over 100 years. Forget the across-the-ditch rivalry: New Zealanders, Australians and Americans are working together to launch a fleet of satellites to power the world’s global IoT communications from space. 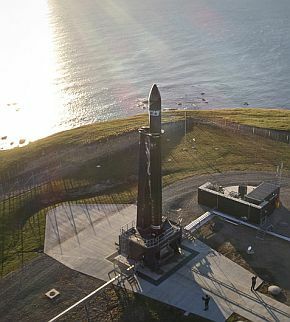 Rocket Lab and Australian IoT startup Fleet Space Technologies have signed a contract to launch two Proxima satellites this month. The satellites are the first of a series of small, low-cost satellites that will provide internet connectivity for IoT devices located in remote locations back on Earth. The Proxima satellites are identical 1.5 Cubesats, designed and built by Fleet Space Technologies. The launch will also celebrate the beginning of Fleet’s first commercial tests of its software-defined radios, which will transmit data on S-band and L-band frequencies in space. Fleet also operates a ground terminal called the Portal. Combined, the satellites and terminal will enable satellite connectivity in remote locations where there are no cellular networks. Fleet aims to launch larger Centauri satellites aboard other launch vehicles this year. A group of young New Zealand foresters is working to raise the profile of their industry and provide support for those looking to develop careers in the sector. 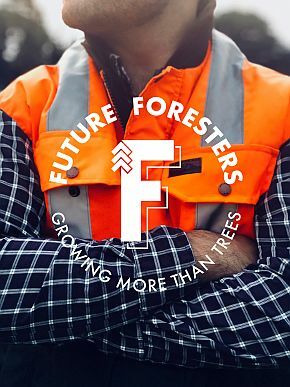 The Future Foresters group grew out of the NZ Institute of Forestry conference last September and has got off to a strong start, with some 200 members already on the books. As well as raising awareness of the industry, the group aims to encourage people into the industry and make the wider community aware of the employment opportunities in forestry. The group is unashamedly modelled on the Young Farmers organisation and hopes to achieve similar longevity and success. ''Often there is not a lot of awareness about the range of opportunities available in forestry,'' says Acacia Farmery, an establishment forester with Rayonier in Southland. Ms Farmery was part of the committee that set up the group with the aim to promote careers in forestry and to provide a voice for young foresters and others who are new to the sector. Some of the early activities of the group have included promotions on social media and the setting up of a website ( www.futureforesters.com) and they also have plans to carry out a school’s programme and other educational activity. ''We've had excellent support from the industry to help us get under way,'' Acacia says. 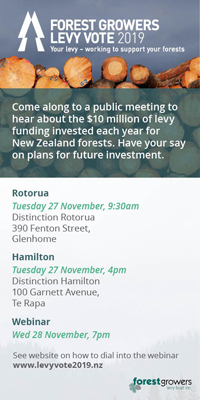 ''Besides the NZ Institute of Forestry, other groups such as Forest Owners have provided support and sponsorship.'' Ms Farmery was originally from Hawkes Bay and completed a bachelor of forestry science degree at Canterbury University. She says almost all of the graduates from the four-year programme, the only one available in New Zealand, had jobs before the end of the course. She said her degree gave her a sound understanding of the cycle of forestry and made it possible to enter into a range of different roles. She started working in a technical role for Rayonier in Auckland before moving south about a year ago. The company manages about 40,000ha in the south, including some native planting, with about 30,000ha in production. As their establishment forester, Ms Farmery is responsible for the trees over the first two or three years of their lives. This involves between 4000-5000ha. The Future Foresters group is also intending to introduce development programmes as well as providing mentoring to those new to the sector. This will be the focus at the next forestry conference in Christchurch in July 2019. There are also plans to hold events in Otago and Southland as well as providing a point of entry in other aspects of the industry such as contracting and wood processing. You can check out some German technology on this new line of mechanical pruning along with the specs. Technical specs include: stem diameter 25 to 9 cm, pruning height 12 to 15 metres, branch thickness up to 3.5 cm, possible performance 40 to 50 trees per hour. It’s been going through testing for some time and is expected to be available next year. Meeting with the New Zealand Forest Certification Association (NZFCA), the National Governing Body for PEFC in New Zealand, Mr Dorries spoke about the benefits of a joint standard, with the proposed new standard to cover forest managers who have a presence in either market. “Under the proposed joint standard, forest growers will be able to operate using the same standard in both markets. Following the re-brand of the Responsible Wood certification scheme in Australia, PEFC certification in Australia and New Zealand continues to grow from strength to strength,” Mr Dorries said. Gisborne based HFF (Hikurangi Forest Farms Limited) is the latest New Zealand based forestry organisation to successfully secure PEFC certification. A member of the One Tree (NZ) Limited, the HFF estate is primarily made up of Pinus Radiata with 27,000 hectares of the total 35,000 hectares of defined forest available for production forest. PEFC certification continues to grow in New Zealand with more than 470,000 hectares of defined forest area now certified under NZS AS 4708:2014, the New Zealand standard for Sustainable Forest Management. PEFC certification remains critical for the timber export market, none more so than in South Korea. From 1 October 2018, importers must now present the Minister of the Korea Forest Service with a document that is internationally recognised to certify timber legality. 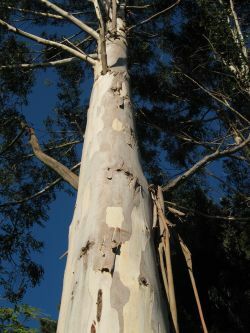 To demonstrate legality, importers can provide the Minister with a PEFC Forest Management and Forest Product Certificate or a certification from Responsible Wood, the governing body for PEFC in Australia. In 2017, New Zealand was the largest exporter of log timber to South Korea, supplying more than 40% of the country’s total importation of log timber. Ships operating in New Zealand might soon be liable to tough new rules on air pollution and greenhouse gas emissions. 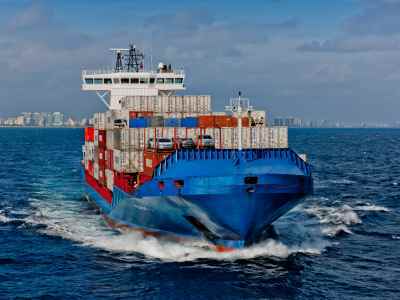 International shipping is responsible for about 2.5 per cent of global greenhouse gases, but is not covered by the Paris Agreement. New Zealand is one of the few countries without restrictions on air pollution from ships. However, the Ministry of Transport is now calling for submissions on whether the country should sign up to air pollution provisions of the International Convention for the Prevention of Pollution from Ships (known as the Marpol Convention). If the provisions come in, domestic and international ships in New Zealand waters will be restricted to using fuels with a sulphur content of less than 3.5 per cent. The sulphur restriction is expected to drop to 0.5 per cent in 2020. Forster says that marine fuel produced in New Zealand has a sulphur content of less than 3.5 per cent. “The vast majority of our domestic ships use diesel fuel which complies to both standards – the ships directly impacted will be ferries, and large trading and fishing vessels,” he said. Submissions close in February. 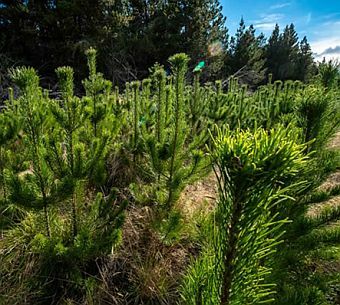 Results from a new survey have revealed landowners and farmers in New Zealand are more aware of the ‘serious threat’ posed by wilding pines than ever before. Wilding pines are arguably the country’s most serious and intractable weed. Now occupying more than 1.8 million hectares of land from Northland to Southland, landowners are more aware of the growing problem than before. It’s predicted 20% of the country’s total land area while be covered in wilding pines in the next two decades. Land managers, government agencies and community trusts are joining forces on trying to stop this spread and collectively spend over NZ$11 million each year in managing wilding conifers. Scientists are also working to research and control the unwanted spread. This year, researchers have undertaken a new survey as a part of the Winning against Wildings project funded by Ministry of Business, Innovation and Employment (MBIE) and Ministry for Primary Industries (MPI)’s National Wilding Conifer Control Programme. The Manaaki Whenua – Landcare Research-led Management of wilding conifers in New Zealand survey focused on farmers and landowners management of these invasive conifers. It is the first of its kind and followed on from the 2017 Survey of Rural Decision Makers (SRDM), asking landowners, farmers and others to indicate their awareness of the wilding conifer problem in their districts. “Results have shown among the 280 people surveyed, just over a third indicated they had wilding infestations affecting their land, or were aware of them impacting on neighbouring properties,” says Survey Lead and Manaaki Whenua Principal Economist, Pike Brown. “This clearly shows us that wilding conifers are perceived to be a serious threat and that individual land owners are a key part of a national strategy for managing wilding conifers across New Zealand,’ he says. shows the share of respondents in each district who report being aware of wilding conifers becoming established in their districts. The results also reveal just under two thirds of those surveyed were aware of wildings being a problem in other areas within their district, showing awareness of wilding conifers is increasing. “In 2015, 25% of respondents reported being aware of wilding conifers becoming established in their districts, by 2017, that figure had increased to 35%,’ he says. Survey responses came from a number of regions across the country and different land use types and have shown guardianship of the land, or ‘kaitiakitanga’ is still the main driver for landowners trying to eradicate wilding conifers from their properties. “Of those with conifers on their land, 84 per cent undertook some form of control, listing kaitiakitanga as the most important reason to do so,” says Brown. It has also confirmed thousands of landowners across the country are still spending their own time and money managing wilding conifers on their land. “Chainsaws were the most popular control method by far (74%), followed by cut-stump herbicide treatment (27%) and backpack spraying (20.5%). In choosing methods, people were primarily motivated by effectiveness rather than cost,” he says. The survey found the use of drones is the preferred means of detecting wilding conifer spread over ground-based surveys, and highlighted breeding sterile trees and using genetic technologies to help halt the spread from commercial forests is the most preferred scientific control options. “The results give those of us working on the national programme some very useful insights into people’s awareness of the wildings issue and in developing new ideas and methods for communicating with communities and combatting the problem,” says Brown. A number of respondents also commented on the importance of follow up control work and the need to control seed spread from forestry or neighbouring properties. With several installations under its belt, Timmerman Timberworks Inc. has opted to automate fabrication of nail-laminated timber (NLT) panels. The firm, based in New Lowell, Ont., is reportedly the only company in Canada to have done so. 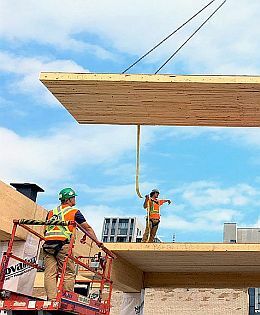 It is currently installing panels at 80 Atlantic Ave. in Toronto, the first new timber-frame commercial building to be constructed in the city in a generation. The machine, housed at Timmerman’s 20,000-square-foot plant at 2 Greengage Rd., nails the laminations into place at a rate of 12 nails per second. An entire panel can be fabricated in as little as 45 minutes. Timmerman can manufacture as many as eight NLT panels per day in dimensions of up to 10-feet by 50-feet. An estimated 200 NLT panels will be installed at 80 Atlantic. Installation is expected to be completed by early December. While not yet in widespread use in Canada, Krans said NLT is in fact growing in popularity. He noted the product has been installed more often on the West Coast than in Ontario. Krans said he believes the release last year of a NLT Canadian design and construction guide will help pave the way for more such projects in this country. “The technical detailing will vary from project to project, but having the guide gives architects and engineers a good design baseline and the confidence to specify the material,” he explained. The guide was co-edited by architecture and design firm Perkins+Will and structural engineering firm Fast + Epp, the same team that produced a similar guide for the U.S. building industry. Krans, whose firm also fabricates cross-laminated timber (CLT) and other heavy timber components, said the wood construction market has really grown over the past three to four years on the commercial side. “We credit this to the growing popularity of new types of mass timber, specifically CLT and NLT,” he said. “But it is also due to the fact that people are starting to realize that building with mass timber makes sense. Photo: A nail-laminated timber panel is hoisted into place at the 80 Atlantic Ave. site in Toronto’s Liberty Village. Installation of the panels is scheduled for completion in early December. The project is the first new timber-frame commercial building to be constructed in the city in a generation. This has been described by the Timber Design Society as one of the most important developments for structural engineers in recent years. They’re currently inviting all TDS members and others involved, to submit comments directly. DR AS/NZS 1720.4:2018 Timber structures - Part 4: Fire resistance of timber elements. NZS AS 1720.1 sets out general requirements for the verification of timber structures and elements. It includes calculation methods and design data appropriate for commonly encountered structural elements and materials. TDS have highlighted the fact that the new standard will be an adoption of the current Australian Timber Standard AS 1720.1, with a separate New Zealand specific appendix, which modifies various clauses of the existing AS 1720.1. Although comments are sought mainly in regards to the New Zealand specific appendix, they are encouraging people to also comment on the main body of AS 1720.1. The closing date for comments on this standard is 9 February 2019. The objective of the second standard is to provide a method for determining the fire resistance for structural adequacy and insulation of sawn timber, timber in pole form, plywood, laminated veneer lumber (LVL), and glued-laminated structural timber elements as an alternative to the test method specified in AS 1530.4. The closing date for comments on this standard is 21 December 2018. For those of my generation who do not, and cannot, comprehend why Facebook exists: I am trying to make friends outside of Facebook while applying the same principles. Therefore, every day I walk down the street and tell passers by what I have eaten, how I feel at the moment, what I have done the night before, what I will do later and with whom. I also listen to their conversations, give them the "thumbs up" and tell them I like them. And it works just like Facebook. I already have four people following me: two police officers, a private investigator and a psychiatrist.